Sultan with ringer (turkish) phone. Original mfg in 1909 by Ericcson (LME) in Europe; but not uncommon to find in the US. 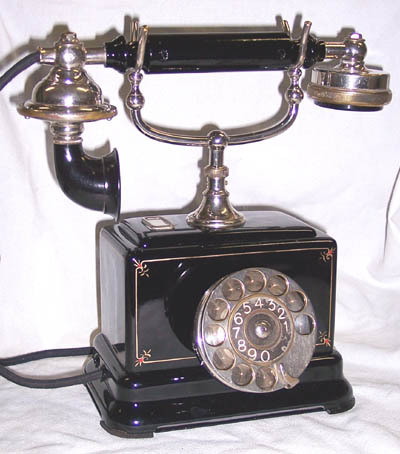 Dial was added in 1921. These sultan phones are very attractive after many hours of polishing; painting; and pinstriping.